I don’t think any other hotel could have welcomed me better into Old San Juan, Puerto Rico then the Casa Blanca Hotel. I flew into Puerto Rico close to midnight. With few sights to be seen at that time and with all of my luggage in tow, I headed straight to Old San Juan to check into my hotel. 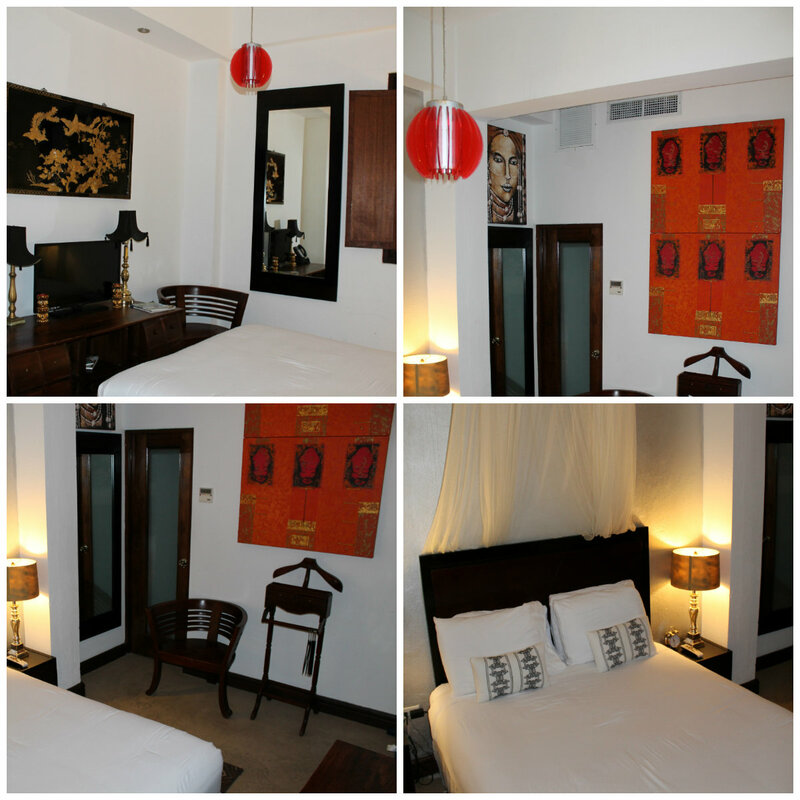 My first impression of Old San Juan was my hotel: Casa Blanca. 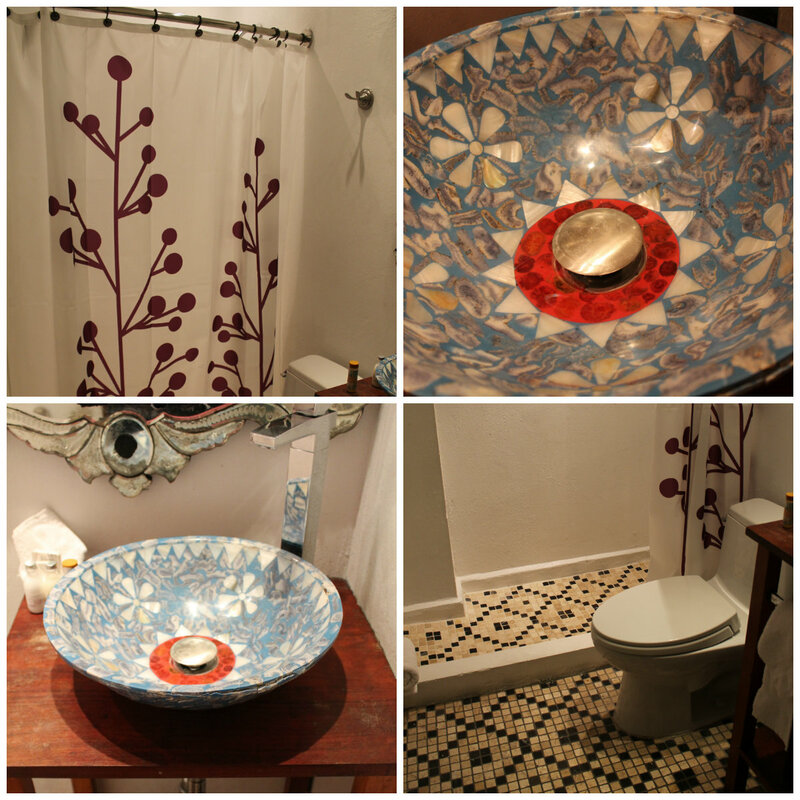 Let me tell you, I was more than impressed by the colonial, Moroccan, and modern décor. 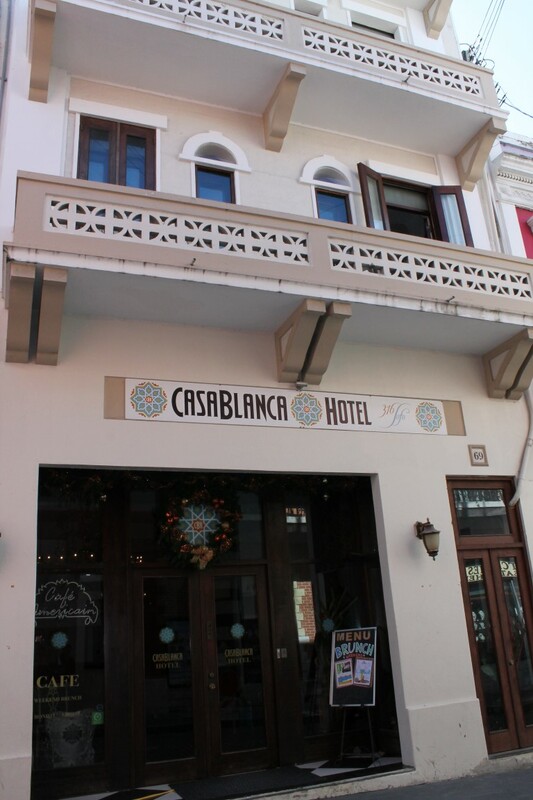 Casa Blanca Hotel is considered one of the most historic hotels in Old San Juan. The building itself is hundreds of years old (built before elevators) and holds such unique character. 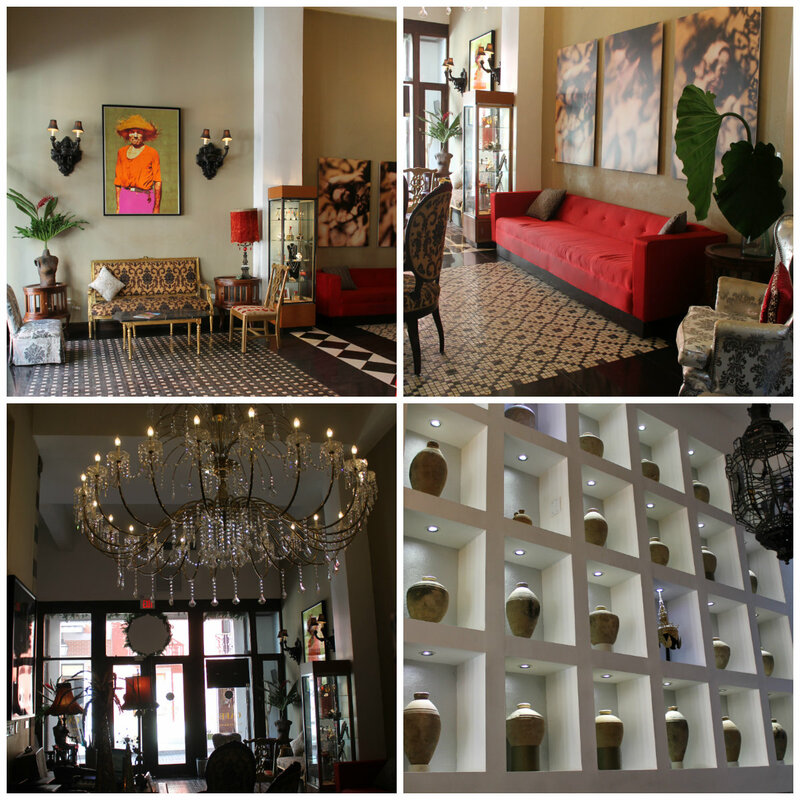 I knew from the moment I stepped into the Casa Blanca Hotel that I would love my stay in Old San Juan. The vibrant colours of the décor in the hotel “pop” in contrast to the clean white walls, light flowing sheer curtains, and mahogany stained wood. Each room has different decorations adorning the walls. I adore the style of the hotel: unique, vibrant, historic, and one of a kind. 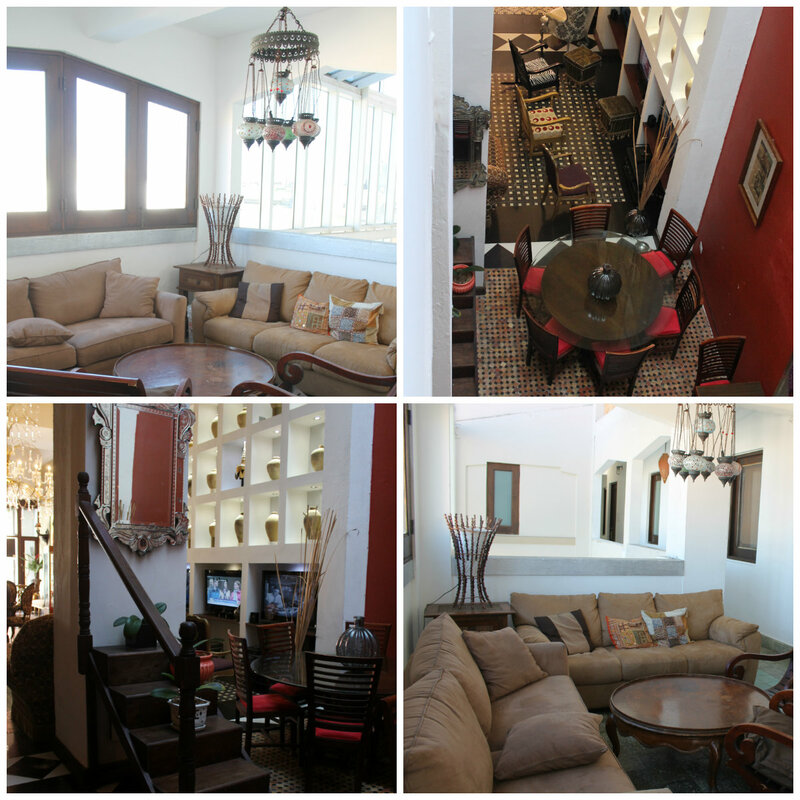 Staying at the Casa Blanca was more than a hotel stay, but also a cultural experience. I would often sit in the hotel Café enjoying a latte while chatting with the staff about Puerto Rico. The 20% discount for guests at the café made it easy (and convenient) for me to start my day right at the hotel with fresh local tropical fruits and eggs. 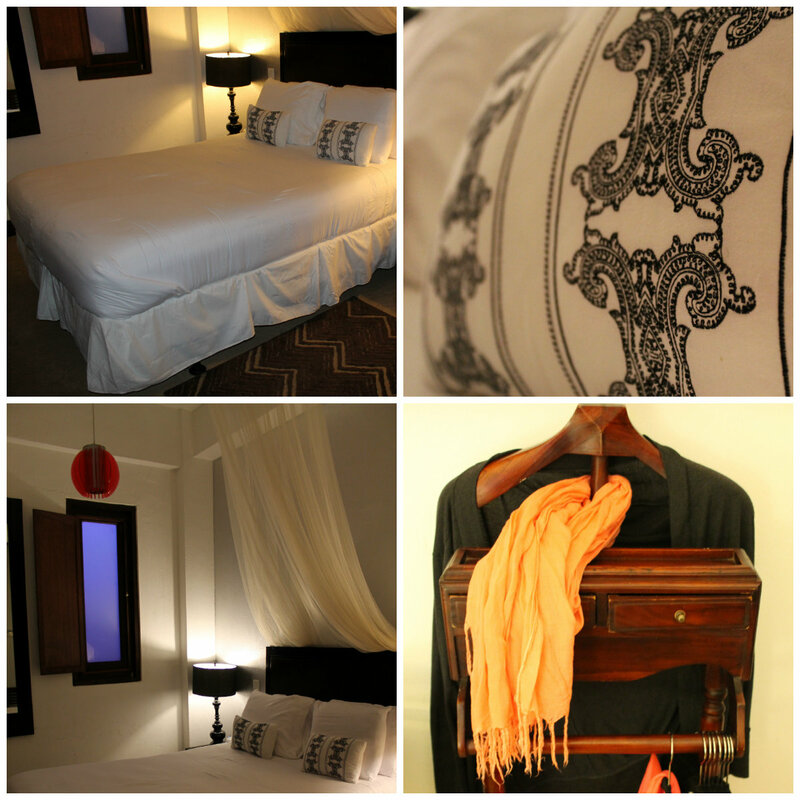 The hotel is located on one of the most famous streets in the heart of Old San Juan: Calle Fortaleza. You can’t find a better location in Old San Juan. Who needs a pool when you have giant stone soaker tubs on the roof of the hotel! The mini pools create a spa-like feeling in the hot mid-afternoon sun. How much more unique can you get? 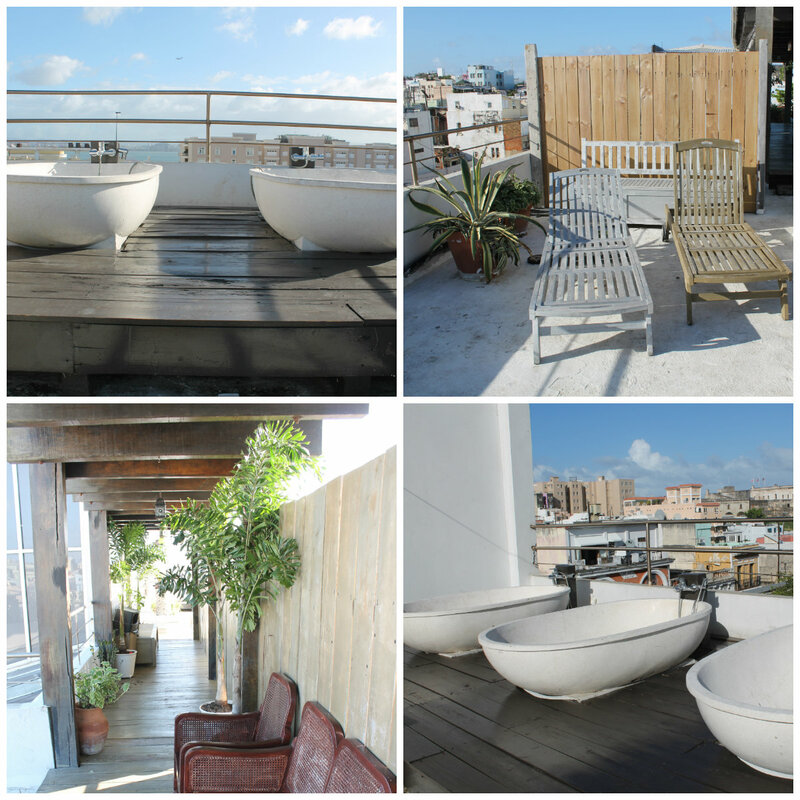 The roof is the perfect place to sun-bathe, cool off, or watch the sunset. The urban hotel is quiet through the week, but on the weekends the happy crowds and salsa music can be heard from a distance. One of the best parts of Old San Juan is the nightlife. Old San Juan is known for its street salsa, bars, discos, casinos, and performing arts. Staying at the Casa Blanca makes it simple to enjoy the beach during the day and the city during the evening. The hotel is also conveniently located by the two historic forts in Old San Juan, the pier, and Escambron Beach which is a mile and half walk. Staying in Old San Juan gave me the perfect combination of a historic and beach vacation. The quaint and personalized hotel has 32 guest rooms, 24 hour reception service, free coffee, filtered water, and air-conditioning (for when you want to use it). The staff are friendly and helpful! 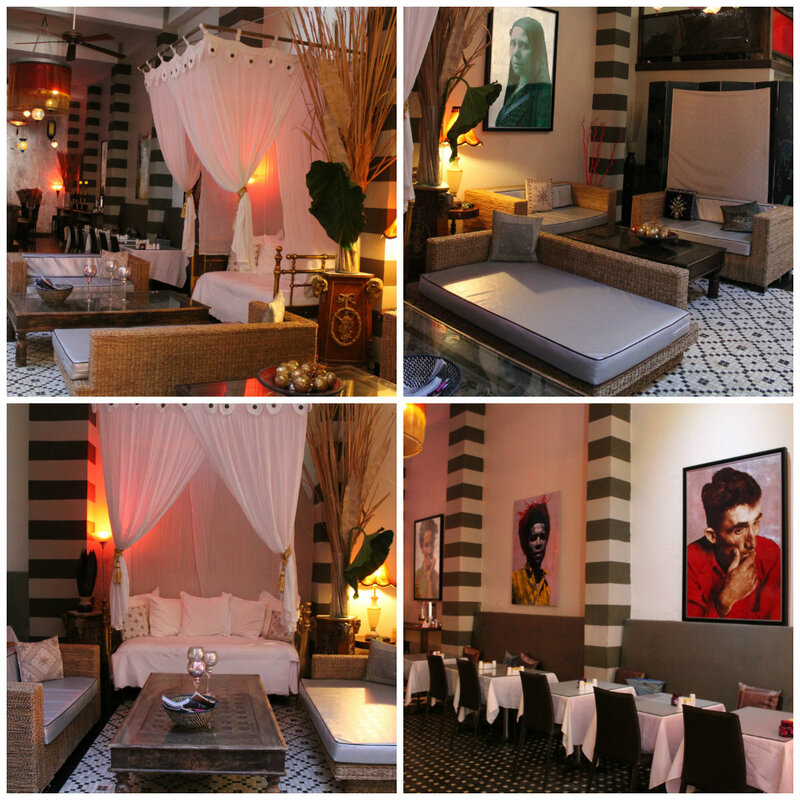 If I come back to Puerto Rico I know where to stay; my first stop will be the Casa Blanca! It’s home to me. This entry was posted in Caribbean, Puerto Rico, Reviews, travel and tagged Caribbean, Casa Blanca Hotel, experiences, Old San Juan, Puerto Rico, Travel, Turquoise Compass by Turquoise Compass. Bookmark the permalink. What a charming and cozy hotel!!! I don’t know Porto Rico yet, but after seeing your photos and hearing your experience I’m considering it!! I looks like a lively and nice place to visit!!! I know right? SO much charisma here! You should consider it, but consider seeing all of the Island, not just Old San Juan. There is so much to do and see here on this small Island. It is full of energy, friendly people, and beautiful turquoise beaches! This hotel looks very nice. Thanks for sharing. You are welcome Irene! The hotel is one of a kind and has such a relaxing atmosphere. It is a long time since I’ve been to PR bout the hotel is charming. A nice way to begin your adventures. Well, now you have a reason to go back! What places did you see in PR? It was definitely a nice “welcome to Puerto Rico”. I did not stay in San Juan. I had a friend who has house about 90 minutes outside of San Juan. I spent one day roaming aound the old city and I remember a fort and el convento hotel Maybe I should say that I spent an afteroon drinking there. I don’t know if you are still there in PR but if you have a chance go Vieques. It’s a small island about 15 mintues from San Juan and it’s part of PR. There is a marvelous old town called Isabella Segunda etc. Sounds like you had a good visit in PR when you were here. I am heading to Vieques on the weekend ironically! I can’t wait!